The Hawai’i longline fishery targets bigeye tuna for the sashimi- and fresh-fish domestic markets. entific and Statistical Committee (SSC) will convene 8:30 a.m. to 5 p.m. Oct. 14 to 16, 2014, at the Council office, 1164 Bishop St., Suite 1400, Honolulu, to review management measures for US Pacific Island fisheries and make recommendations for Council consideration the following week. Management recommendations made by the Council are transmitted to the Secretary of Commerce for final approval and then implemented by the National Marine Fisheries Service (NMFS) and the US Coast Guard. A major agenda item is the management of highly migratory Pacific bigeye tuna, the species targeted by the Hawai`i longline fishery for sashimi- and fresh-fish domestic markets. According to the most recent stock assessments, bigeye overfishing is occurring in the Western and Central Pacific Ocean (WCPO), where the stock is approaching an overfished condition. Management measures for the species in the WCPO are developed by the Western and Central Pacific Fisheries Commission (WCPFC) and then adopted by member countries. The United States is a member of this international regional fishery management organization, which is scheduled to convene Dec. 1 to 5, 2014, in Apia, Samoa. The SSC will review the status of bigeye and may make a recommendation to the Council. The Council will consider the SSC recommendation as it deliberates recommendations to be made to NMFS, which leads the US Delegation to the WCPFC. The Council’s jurisdiction is domestic fisheries operating seaward of state waters (0 to 3 nautical miles from shore) of Hawai`i, American Samoa, Guam, the Commonwealth of the Northern Mariana Islands (CNMI) and the Pacific remote island areas. American Samoa, Guam and CNMI are Participating Territories in the WCPFC and considered to be small island developing states. WCPO North Pacific striped marlin: The stock has been subject to overfishing, and NMFS recently announced it is in an overfished condition. US Pacific Territory bottomfish: The SSC will review the status of the American Samoa, Guam and CNMI bottomfish fisheries and specify their acceptable biological catches (ABCs) for fishing year 2015. The Council uses the ABCs to develop the 2015 annual catch limits (ACLs) for the fisheries. Hawai‘i yellowfin and bigeye tuna: While the Pacific yellowfin tuna stock is considered biologically healthy, research has indicated that locally spawned yellowfin tend to stay around the Hawaiian Islands and that, after about 24 inches in length (about 10 pounds), their natural mortality rate drops to its lowest levels. After this size, the species grows quickly to reproductive size. 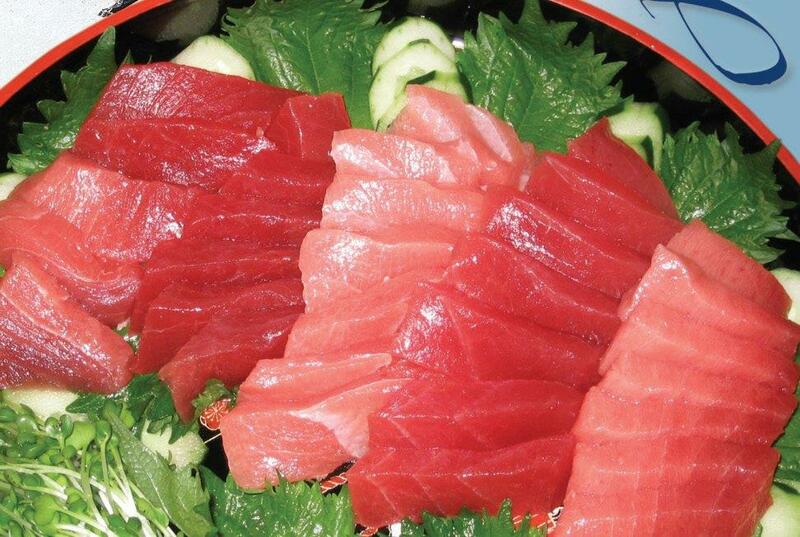 Currently the commercial minimum size limit for Hawai`i yellowfin is 3 pounds. The SSC will consider options for minimum size of yellowfin and bigeye tuna for commercial fisheries operating in federal waters around Hawai`i. Main Hawaiian Islands (MHI) bottomfish and Western Pacific crustacean and coral reef fish: The SSC will review the ABCs specified at its last meeting for MHI Deep 7 bottomfish, based on a 2011 stock assessment, as well as for MHI non-Deep 7 bottomfish and for Western Pacific crustacean and coral reef fish, based on a biomass augmented catch–maximum sustainable yield model. The Council will consider the recommendations of the SSC and its other advisory bodies on the above issues as well as management of fisheries in the expanded Pacific Remote Islands Marine National Monument, management of the American Samoa longline fishery for South Pacific albacore and establishment of a market delay for the sale of MHI Deep 7 bottomfish should the fishery close after reaching its ACL. The Council will meet 8:30 a.m. to 5 p.m. Oct. 21 to 23, 2014, at the YWCA-Fuller Hall, 1040 Richards St., Honolulu. The Hawai`i bigeye and North Pacific striped marlin management issues will also be addressed at the Fishers Forum 6 to 9 p.m. Oct. 21,2014. This free public event will be held at the Harbor View Center at Pier 38, 1129 North Nimitz Highway, Honolulu (above Nico’s restaurant) and will feature a sneak preview of the short documentary `Ahi – The Hawai‘i Yellowfin Tuna. The event includes presentations, panel and public discussions, informational booths, door prizes and more. For the full agendas of the SSC and Council meetings and the Fishers Forum and details on public comment opportunities, go to www.wpcouncil.org/category/upcoming-council-and-advisory-body-meetings/. Scientific and Statistical Committee: Dr. Charles Daxboeck, chair, (BioDax Consulting Tahiti); Dr. Judith Amesbury (Micronesian Archeological Research Services); Dr. Paul Callaghan (University of Guam retired); Dr. Frank A. Camacho (University of Guam); Dr. Milani Chaloupka (University of Queensland); Dr. Richard Deriso (Inter-American Tropical Tuna Commission); Dr. Erik Franklin (Hawai`i Institute of Marine Biology); Dr. John Hampton (Secretariat of the Pacific Community); David Itano (consultant); Dr. Pierre Kleiber (NMFS PIFSC, retired); Dr. Donald Kobayashi (NMFS PIFSC); Dr. Molly Lutcavage (University of New Hampshire); James Lynch (K&L Gates); Dr. Todd Miller (CNMI Division of Fish & Wildlife); Alton Miyaska (Hawaii Division of Aquatic Resources); Dr. Domingo Ochivallo (American Samoa DMWR); Dr. Minling Pan (NMFS PIFSC); Dr. Craig Severance (University of Hawai`i at Hilo retired); Dr. John Sibert (Pelagic Fisheries Research Program retired); and Dr. Robert Skillman (NMFS PIFSC retired). Western Pacific Regional Fishery Management Council: Appointees by the Secretary of Commerce from nominees selected by American Samoa, CNMI, Guam and Hawai`i governors: Michael Duenas, Guam Fishermen’s Cooperative Association (Guam) (vice chair) ; Edwin Ebisui (Hawai`i) (vice chair); John Gourley, Micronesian Environmental Services (CNMI) (vice chair); William Sword, recreational fisherman (American Samoa) (vice chair); Michael Goto, United Fishing Agency Ltd. (Hawai`i); Julie Leialoha, biologist (Hawai`i); Dr. Claire Tuia Poumele, Port Administration (American Samoa); and McGrew Rice, commercial and charter fisherman (Hawai`i). Designated state officials: Manny Pangelinan, CNMI Department of Land and Natural Resources (chair); William Aila, Hawai`i Department of Land & Natural Resources; Dr. Ruth Matagi-Tofiga, American Samoa Department of Marine and Wildlife Resources; and Mariquita Taitague, Guam Department of Agriculture. Designated federal officials: Michael Tosatto, NMFS Pacific Islands Regional Office; David Hogan, US Department of State; RAdm Cari B. Thomas, US Coast Guard 14th District; and Susan White, USFWS Pacific Reefs National Wildlife Refuges Complex. To view Press Release, click here.